On March, 21st 2016 our crowdfunding campaign ended for good. 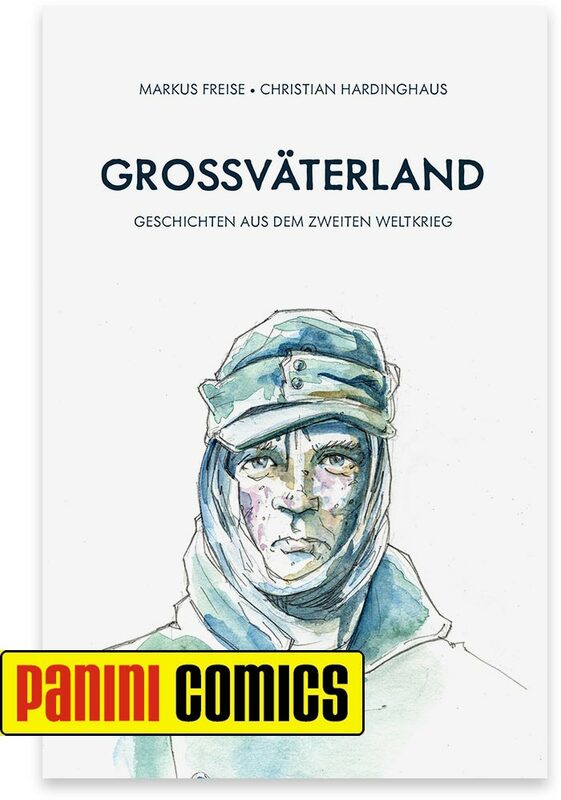 A few days earlier we agreed with a german publishing house – Panini – about a publishing deal which will bring Großväterland in to comic stores – at least in Germany. Do you know anyone in the comic publishing sector in your country? As this deal is for German language region only, we are very interested to find an even sophisticated publishing partner in your country. So if you are from a publishing house or know someone who might be interested, feel free to contact us vial email at markus@freise.de. For now we need to thank everyone who supported us in the last 18 month. If you happen to be one of these generous people, be assured, that everything is on track and we will ship your exclusive preordered crowdfunding edition this summer. To celebrate this important milestone, we are happy to present you the cover of our graphic novel. So officially it’s labeled “temporary”, we are quite sure that this is it. Of course in your english language edition the subline will be translated. But that’s one of the many things still to be done. For feedback feel free to comment this post, follow us on Facebook or write us an email. During my visit in Berlin I spent a whole day with Ernst (87). 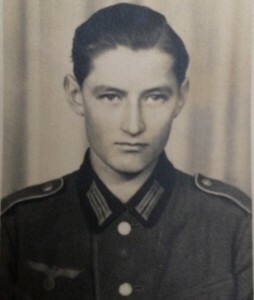 In 1944 he was enlisted as a Flak soldier into the Wehrmacht, being just 16 years old. Ernst is the last who can tell us about these last days from April 28th to May 1st 1945, which did cost a lot of lives – once again. While the SS defended the left wing of the Reichstag, a splinter group of soldiers from the Wehrmacht, Volkssturm and Hitlerjungen held the right wing. Though the russians had the area encircled. As Ernst reached some paratroopers who were trapped in the Innenministerium, to bring them food and ammunition, he came just in time. A russian tank (T-34) had spotted the group und aimed directly at the basement, where the troopers were hiding. 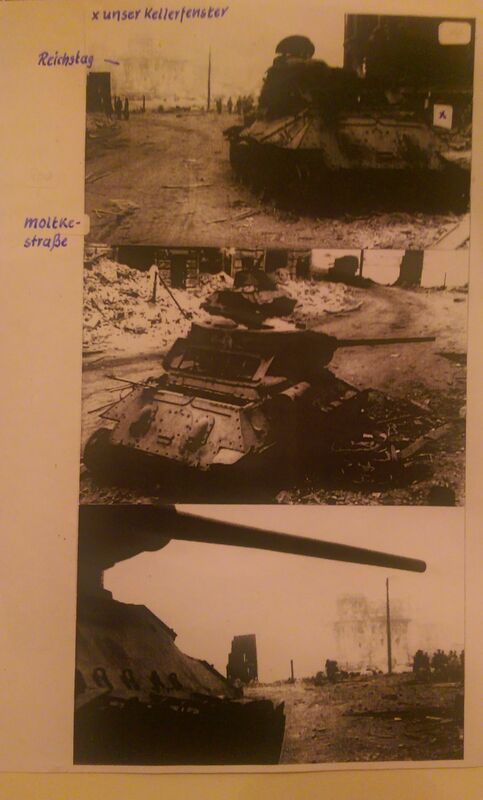 Ernst and his comrades took the Panzerfaust und destroyed the tank just seconds before the would have been hit. After Hitler shot himself on April 30th everybody understood: This was the end. Many german soldiers got drunk and committed suicide. Ernst ran, not knowing what to do, into Berlin Tiergarten, the local zoo. It was deserted. A deception: Two russian snipers had him in their sights. But they missed. Ernst to a hand grenade and threw it into the crater. What followed changed his life forever. But we don’t want to take to much away at this point. 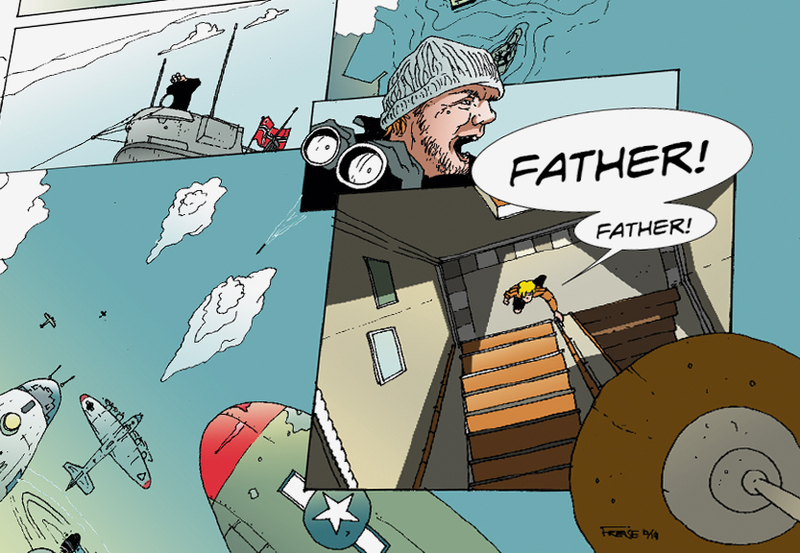 You will find the story of Ernst in the graphic novel and a short preview in the coming weeks. The tank, destroyed by Ernst and his comrades. This month it’s about one year since we had the idea to make Großväterland. It was born out of a chat I had with my mother about my own grandfathers role in the Wehrmacht. As he died in 1974 in a motorbike accident I never had the chance to ask him myself. At first we presented Großväterland as a rough concept it now has become more than just a „project“. So we would like to take the opportunity to give a quick update of where we are, what to expect and what I personally took away from it all at this point. The first month, after we decided to give it a try, were focused solely on the crowdfunding campaign on Indiegogo. The official goal of $18,000 was reached close to the end. Due to the chance of letting the successful campaign run beyond the final date, we were able to collect around $20,000 until this day. Right during the campaign we were able to make some good contacts beyond the idea of publishing a book. The metropolitan museum of a european capital reached out and asked to host an event around Großväterland. This is still in talks. Yet there is gonna be an exhibition with talks, images, posters and more in the german town of Minden in the fall of 2015. 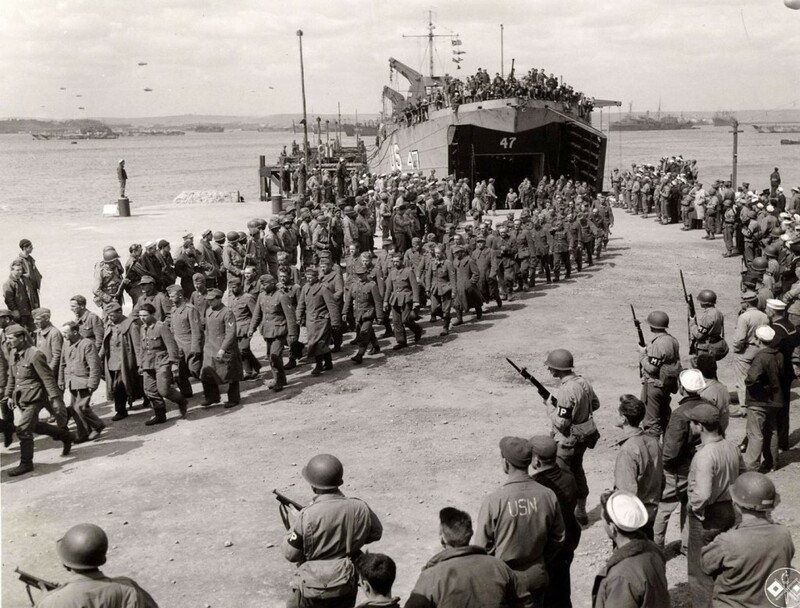 A lot of people reached out for us to tell their stories and experiences during WW2. We listened to each and everyone and at the end chose about a dozen for a visit and an extensive interview. We had loved to go and visit everyone, but we had to keep our budget in mind. Right now we have fascinating reports from about every major frontline and region. Ranging from the Sauerland to Danzig, from the Ruhrkessel to Normandy. Our wish to cover every aspect of the war was fulfilled. Nonetheless we are still happy if you know someone who spent WW2 as a soldier in the Wehrmacht. Please write an email to info@grossvaeterland.de. Due to private reasons one of the project founders, Alex Kahl, had to leave Großväterland in the summer of 2015. We are very sorry. Of course he will be honored in the book. Thanks for making Großväterland possible, Alex. Sometime in the spring of 2015 we realized the scope of our endeavor and decided to find a publishing partner for our graphic novel to help us out for the time after the crowdfunding. 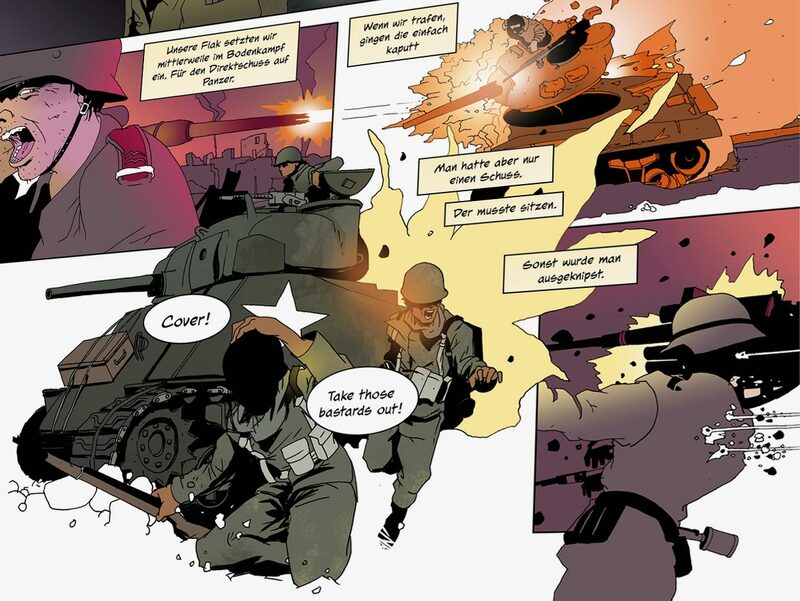 We contacted some german comic book publishers. We can’t say much, but be assured we are in good talks. More to come soon on this one. Finally Großväterland is the perfect example for a project that would never have been possible without the web. 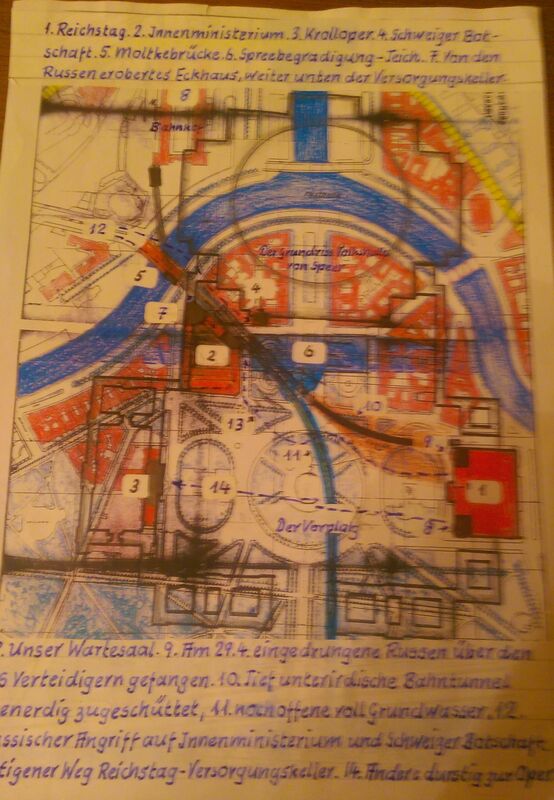 Getting in contact with our witnesses and you, our supporters and hearing directly from you what you liked, thought or saw critical, Großväterland took shape where things were unclear. Out of this everyone who contributed to the project, be it via media, comments or crowdfunding, can feel himself to be a part of it. But what Großväterland gave to us the most and what can be seen as a first résumé is this: Due to the direct and personal contact with our witnesses – be it the war widows, the Trümmerfrauen or the soldiers who fought on the frontline, we were able to get a unique view onto WW2 and the Third Reich. We were told stories we never heard of before and which never made their way into the history books and schools. Even our academic historian Christian often times was shocked by what he had to hear. Upfront many feared, Großväterland could put the learned reality about what happened in WW2, and what we as Germans had to accept as nothing less but as shameful legacy, into a wrong perspective. But it is different: These unfiltered and gruesome stories about human suffering we had to hear added a new and horrifying layer to what we already knew. Abstract events like the battle in Stalingrad or the Ruhrkessel became something very human and tangible. An experience we are glad we made, as it contributes to our concept of not telling the story of WW2 but stories of war. We’d like to wrap things up for today and get back to our desks. We are happy to tell you that there’s gonna be another teaser image coming up. We don’t want to give up to disclose to much for now, but let us reveal this: the destination is gonna be Stalingrad. I just spent a day with Paul (90) for Grossväterland. 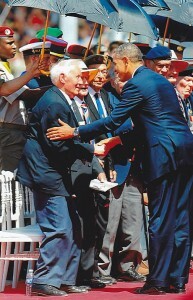 He is one of three last living Germans who witnessed the landing of the Allies on Omaha Beach on D-Day. Last year he was honored by worlds heads of states in Normandie: Obama, Hollande, Merkel exchanged words with him. On D-Day in 1944 Paul had been lucky. 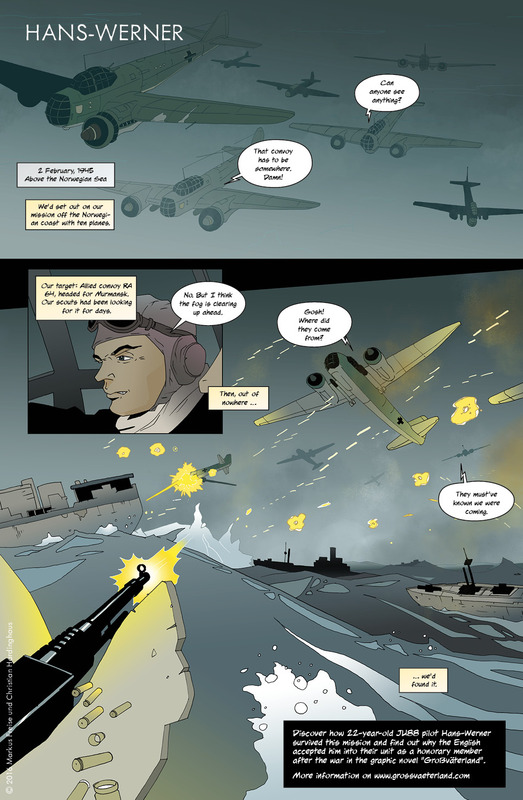 In the preceding night and through fierce bombardments of the American and British bombers, his machine gun nest and his comrades survived – though the other ones in his vicinity were all destroyed. The following morning these young soldiers left their positions and were marching behind a mule cart towards the shore, loaded with ammunition boxes, pulled by a Ukrainian. The boys experienced terrible hunger and thirst. as the german supply routes were all destroyed. Replenishment no longer arrived where necessary. Too many losses, the streets and roads bombed out behind them. Paul saw “his first black”. Looking for something to eat, he discovered the G.I. on a field who had pulled a white sock on his rifle and waved it to surrender. 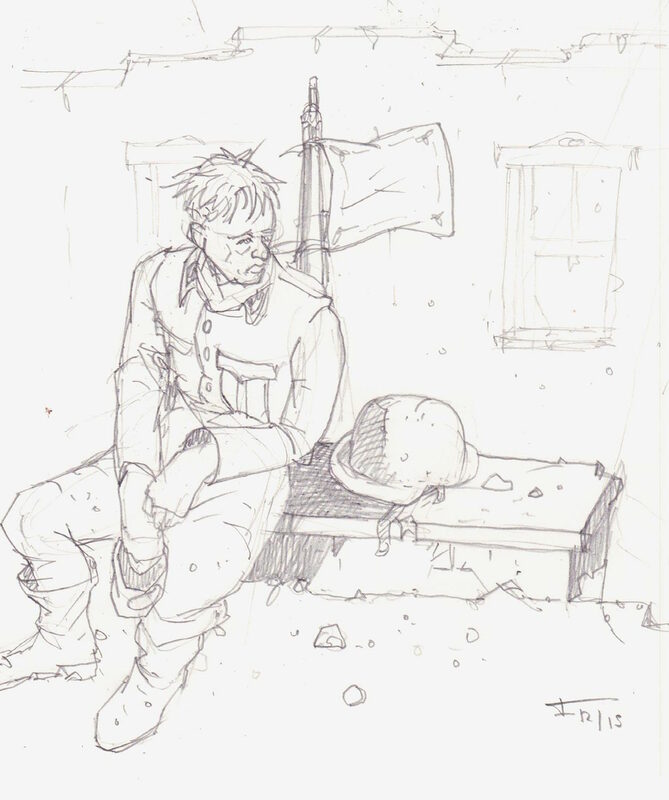 Paul unlocked his rifle, aimed at him – the american soldier started to shake and shiver. 18-years old, Paul could not speak english and tried to talk to the other guy in german.Mensch ich tu dir doch nichts (“Man, I do not want to harm you!”) he said, trying to calm him down. “Good water” the G.I. responded and offered Paul a sip from his bottle. Paul then disarmed him and let him go. A little later, Paul saw his first corpse on a field. It was a white American paratrooper. His comrade Schneider started to loot. Having already taken the leather wallet of the dead, he was going to cut off his stiff finger to get a signet ring from it. Again Paul unlocked his gun, aimed at his comrade:„Wenn Du das machst, erschieße ich Dich.“ (“If you cut his finger, I’ll shoot you.”) Paul’s father, who fought in World War I, had tought him early on to respect the disarmed and fallen foes of the war. 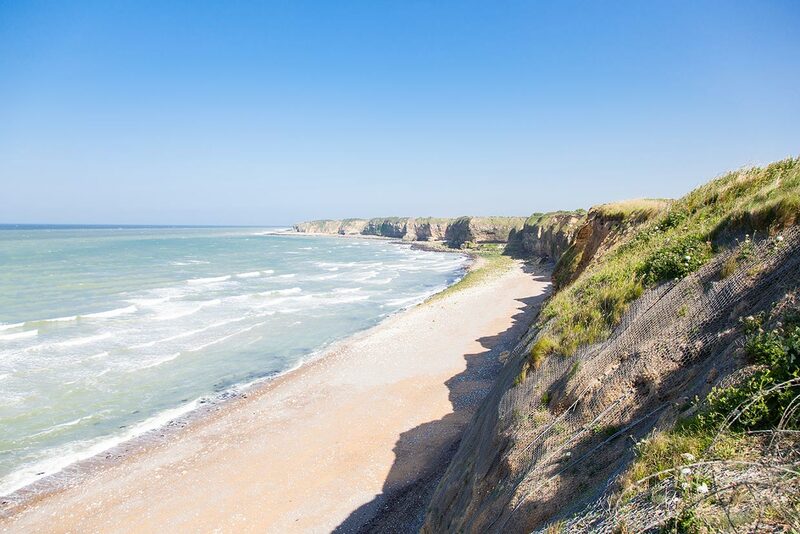 What happened next and how Paul got to the beach where he was overwhelmed by the sight of the gigantic allied fleet you will soon read in Großväterland. as some time has passed since we last gave you an update on our progress, we’d like to inform you today about where we stand. We are on our way and the idea we had last winter turns out very well. 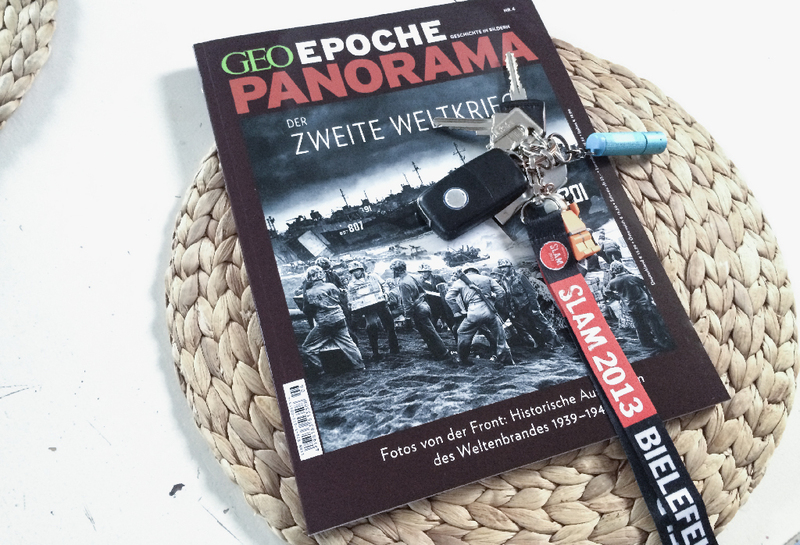 Thanks to your support and a very decent covering in the press we were able to win the trust und stories of a dozen german eye witnesses of WW2. 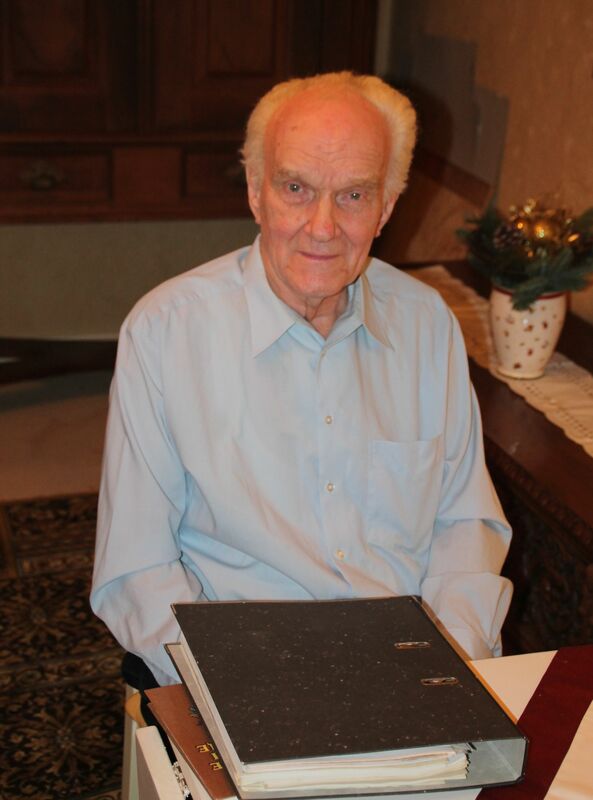 There is Hans-Werner, a former Stuka pilot, Wigand, one of the last living veterans of Stalingrad. 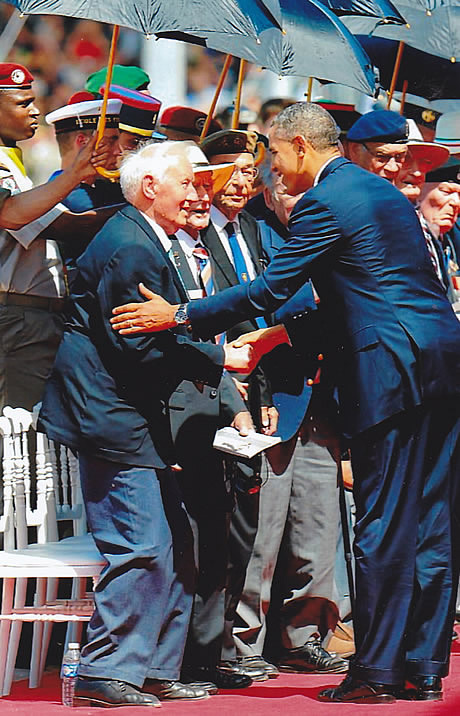 We spoke to Paul, a survivor of D-Day. 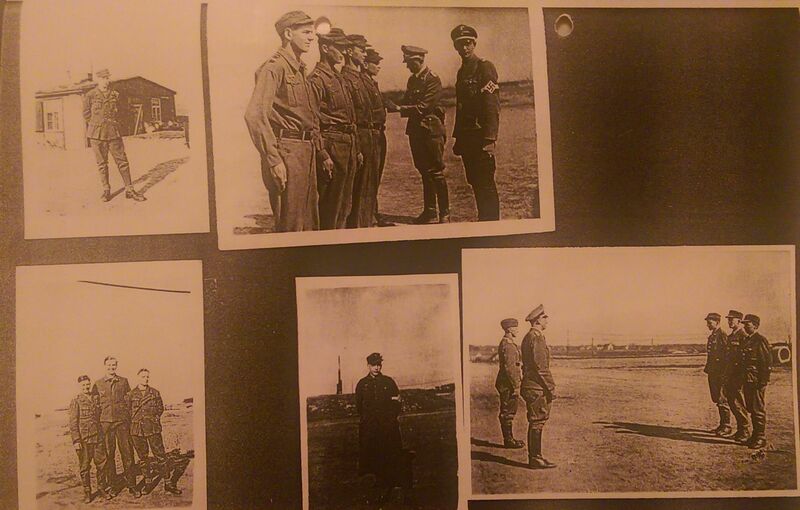 These are just three exciting examples of soldiers of the Wehrmacht we were able to interview. But also Ellen, a half-jew who told us about her dramatic escape out of Breslau and Martha, who survived numerous bombing raids on german city out of pure luck. In short terms: The interviews are done, the illustrations are in the making. Some insights can always be found on our Facebook page. Altogether there will be more stories in the final book than planned. Alex, one of the project founders had to leave Großväterland out of private reasons. Because of this, Christian and Markus had to solve the interviews on our own. Time that was lost in the illustration process. 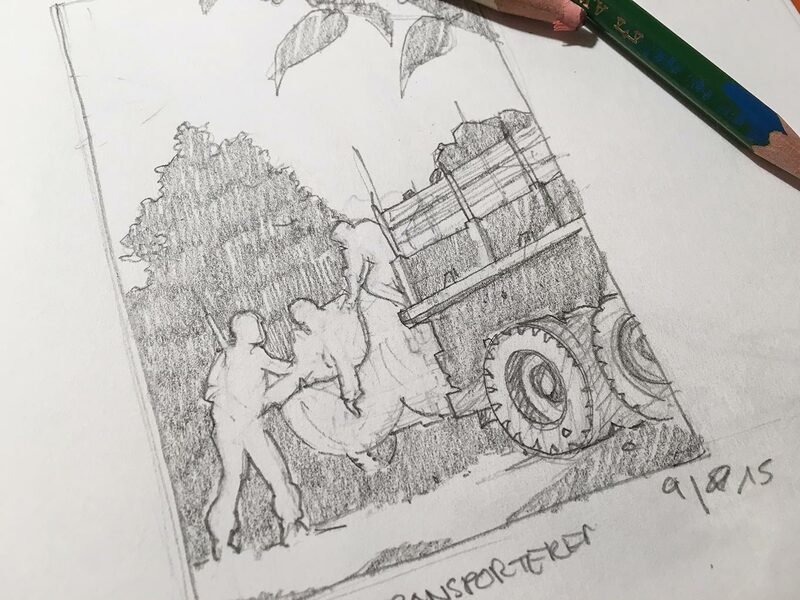 On the other side we are in promising talks with a german comic book publisher, whose willing to publish Großväterland beyond the crowdfunding. We’ll say more as soon as we can and are allowed to. This all adds up to the fact, that we cannot hold on to our initial schedule. After researching, finding our witnesses and talking to them we are sure that our plan to release Großväterland in the fall of 2015 was somewhere between optimistic and naive. A topic so important and so demanding needs more time and sure instinct. We have to stand up to our promise to deliver a graphic novel that holds up to the responsibility for the women and men whose stories are told and the historical facts. As you can see: The project is more than alive. After all we are sure that this graphic novel, which we can only make because of yours and every single contribution is just the beginning of something. We hope that these information can answer some questions and that you still follow our path with excitement und curiosity. Because that’s one thing we can promise for sure: Your patience will be awarded. Should there be any further questions, comments etc. 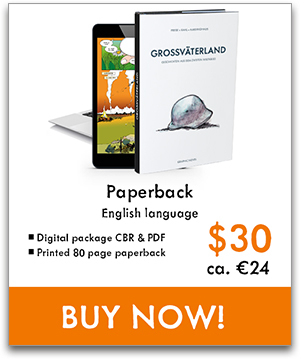 please do not hesitate to write an email to info@grossvaeterland.de. We will answer each message as soon as possible. We just discovered and corrected a huge mistake in the description of the $30 paperback perk. Until now it said, that the english paperback was in german language. Of course that’s totaly nonsens. The english paperback is of course in english language. Order it now. If you’d like to have a combined version with the english and german language in one edition, please order the $60 hardcover perk. Großväterland worldwide … But: We need your help! Wow! Take a look the map. 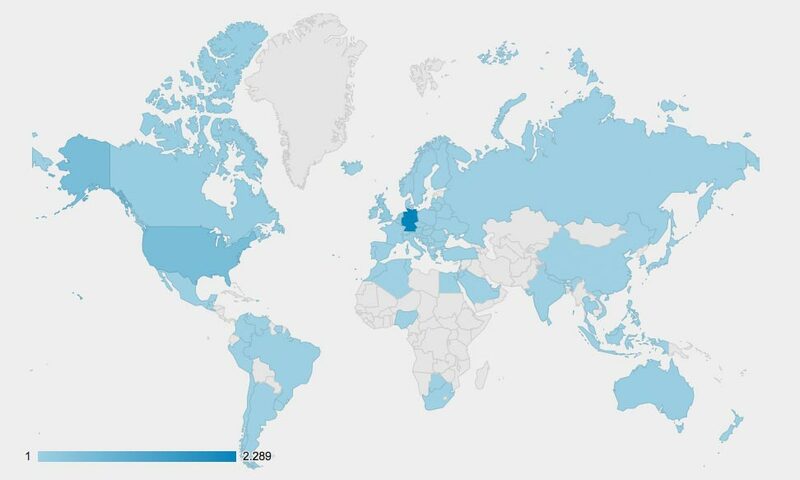 It shows all the countries from which visitors come to our crowdfunding campaign. It’s great to see, how people all over the world are interested in the graphic novel. Fact is: We get a lot of positive feedback and tons of likes on social media. We are sure: People love our project and the idea behind it. Though we are honestly way behind our schedule in terms of funding. If we’d now could convert this interest into real funding, it probably would be no problem to reach our goal in no time. What do you think? What’s holding people from funding Großväterland? And if you’re one of those, who are interested, but did not yet fund Großväterland: What’s holding you back? We are interested in your honest opinion. Please comment below this post or reach out via email. And if you think: “What the hell! I’m going to help those guys!” here’s your link to the campaign. Just order the paperback or a higher perk and add an extra $10 to your order by choosing to give an extra $10 as a gift. See the following screenshot for details. We gonna send out the prologue book with 40 pages, all stories published so far and more. Price includes international shipping. oder einfach herunterscrollen und alle Seiten anschauen. Unsere deutschsprachigen Besucher finden alle wichtigen Infos auf www.grossvaeterland.de.